Has the USD Finally Topped? The USD has had a bullish run out of it’s Intermediate and Yearly Cycle Low (YCL) in early February but it is now deep in my timing band to start seeking out its next 5-6 Month Intermediate Cycle Low (ICL). While I don’t want to overplay the negative correlation between the USD and Gold the correlation has been quite strong for most of 2018. 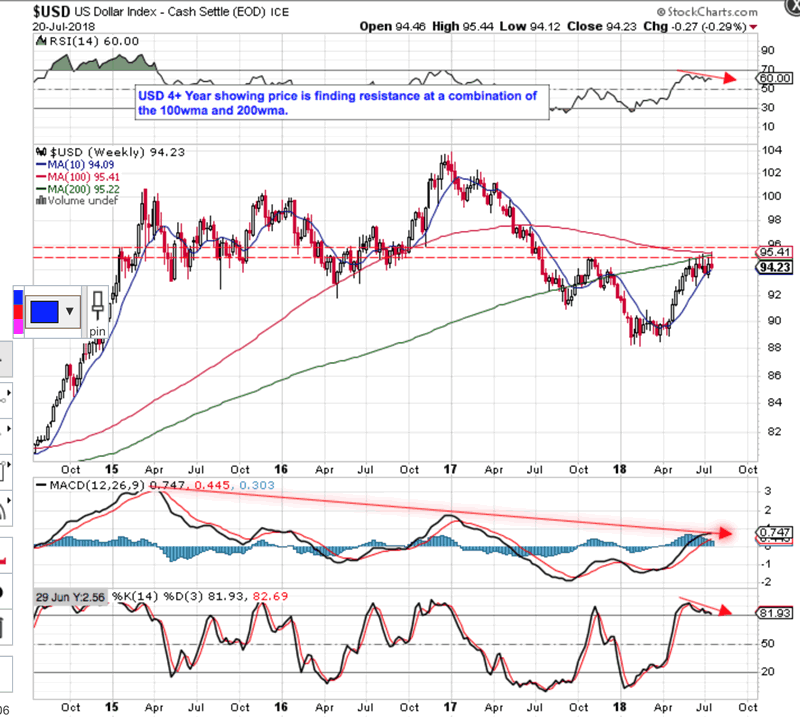 A major top in the USD here, should benefit Gold and the broader CRB here. 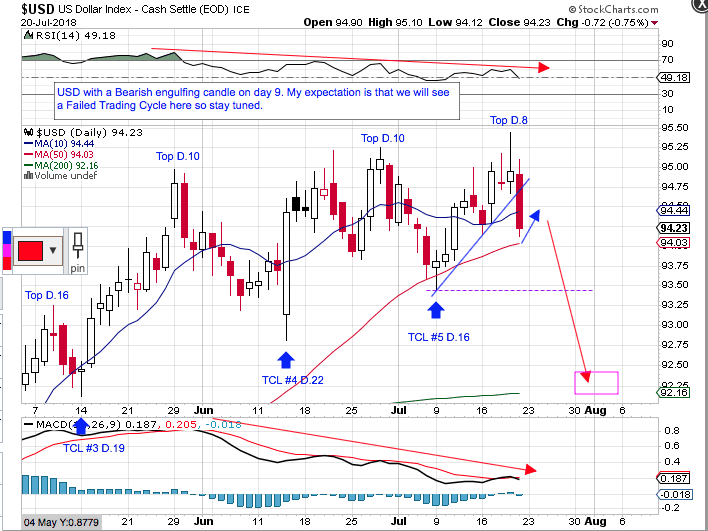 My first chart is a close up Daily showing Friday’s bearish reversal candle and close below the 10ma on day 9. A close below the 10ma usually always signal’s a move into a short term Trading or Daily Cycle Low (TCL/DCL) and should provide enough Time for the USD to test the 200ma near 92 on my Daily chart. 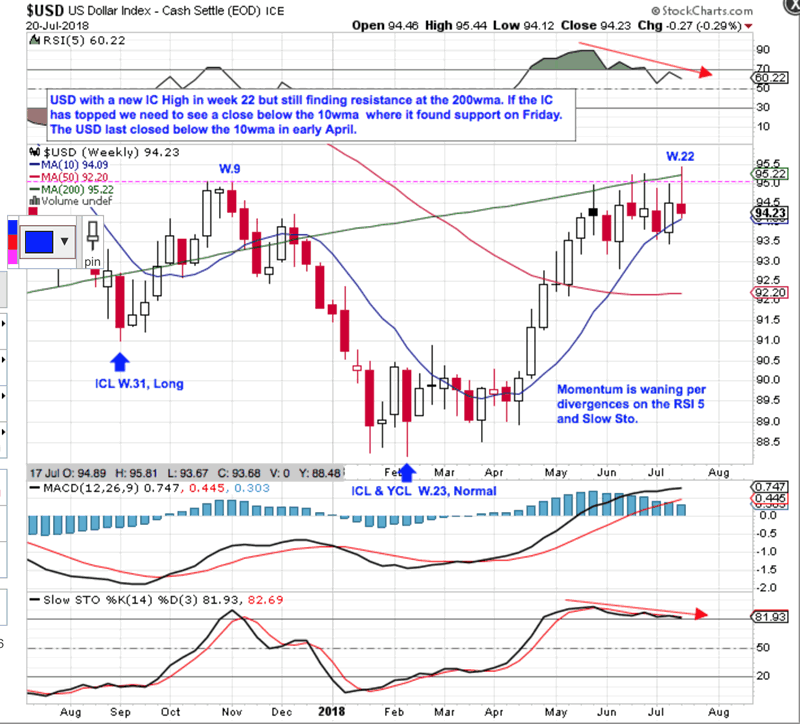 Day 9 is the earliest top we have seen in a short term Trading or Daily Cycle but we now need further confirmation, including a close next week below the 10wma on the Weekly. Note that the 10wma has been very strong support since early April but Time is also becoming an Issue for the USD here. My longer term outlook on the USD’s 15 Year SuperCycle can be found here. If I am correct, the 200wma on my second weekly chart should be resistance that will turn the USD lower from here. 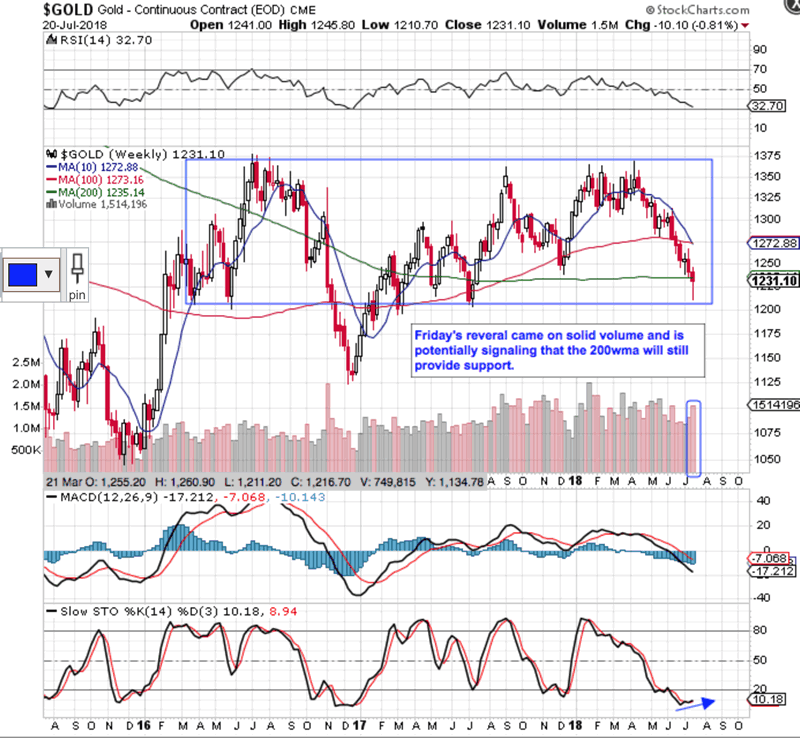 My last chart on Gold is a weekly showing a nice reversal into Friday and that the 200wma may still provide support here.